A compromised Office 365 administrator account can cause a lot of havoc within a company’s IT infrastructure. 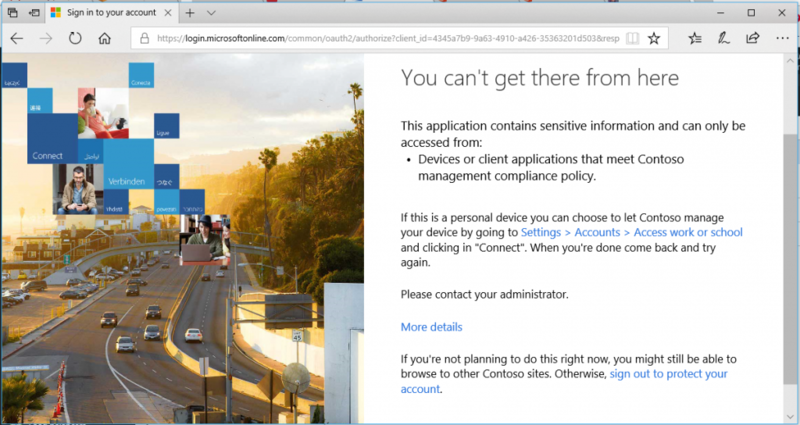 One of the ways Microsoft protects its customers is with compliance policies. Above is what you will see if you try to log into an Office 365 console without meeting compliance. 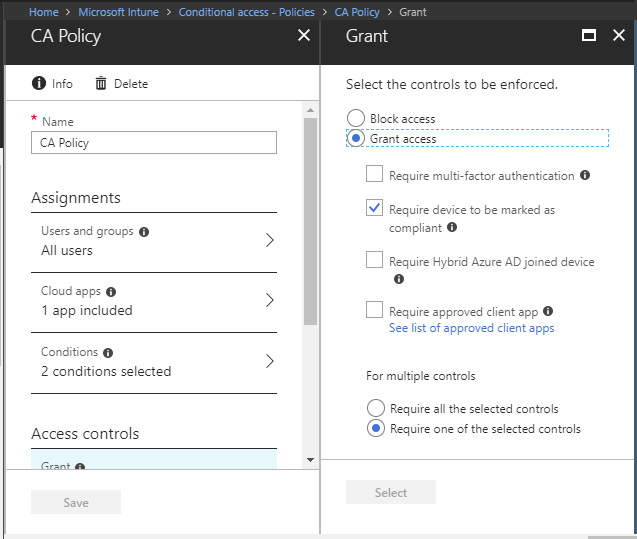 Within Azure, you can configure compliance and conditional access policies. I won’t go into deep detail about every option, but in general these policies work together to allow/block access based off device type, enrollment, and configurations. For example, you may require that any device that connects to Exchange Online must be marked as compliant within Azure. 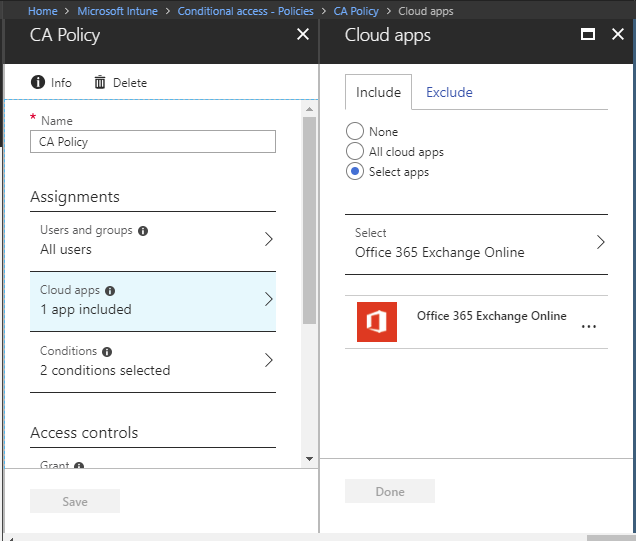 If you suddenly are unable to log into Office 365 and get a compliance error, make sure to check your conditional access policies. 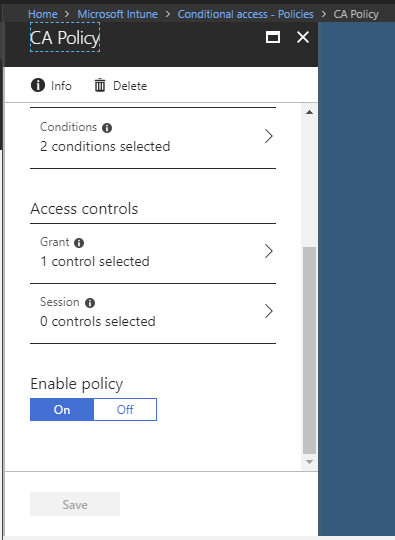 You can even enable/disable each conditional access policy until you find the one causing your problem.